It is a new and better way to grow and manipulate cells in vitro. It goes beyond the needs of people, to meet the needs of cells. You might say Cytocentric is a philosophy, and in some ways it is. It certainly includes an unusually hefty reverence for cells. But in reality, our new approach to cell culture and processing is based on a lot of hard science, much of which is brand new and currently unfolding in hundreds of labs around the world. In another way, our new approach for in vitro cell research is simply a more disciplined and strict approach based on old knowledge about cells. Somehow, this knowledge has faded after decades of putting up with equipment designed for people instead of cells! Most exciting is a completely new category of cell equipment for in vitro cell research. The Xvivo System® is the first and only cell incubation and processing system designed from the ground up for cells. Cytocentric-by-design, it by-passes all the handicaps inherent in conventional equipment designed for people. It offers unprecedented new abilities. The other category is a variety of Cytocentric upgrade equipment for conventional incubators, hoods, glove boxes, etc. You’ll discover a full suite of Cytocentric upgrade accessories and Cytocentric retrofits for your existing equipment to meet specific cell needs. Cells outside the body no longer have an immune system to protect them from microbes. Conventional equipment provides only part-time protection. Cytocentric-by-design equipment provides full time protection. Cytocentric upgrade options for conventional equipment can increase protection, even up to full time. Cells outside the body no longer have the body to keep them viable. Temperature, pH, osmolarity, O2, CO2, etc. must be controlled at optimal levels outside the body or cells die. Conventional equipment only provides part time optimization, only inside incubators when they are closed. Cytocentric-by-design equipment provides full time optimization. Cytocentric upgrade options for conventional equipment can increase optimization, even up to full time. Conventional equipment leaves huge gaps in physiologic simulation. Oxygen is the best example. In conventional equipment oxygen is taken for granted, and typically mishandled. However oxygen concentration is now known to be an absolutely fundamental cell parameter, and plays a critical newly discovered role in gene expression. Cells inside the body never see oxygen levels as high as air oxygen. Physiologic levels are much lower, and they do not fluctuate in the body. Peri-cellular dissolved oxygen is the important parameter but poor equilibration between gas and liquid in culture makes oxygen control extremely challenging. Conventional equipment does not account for peri-cellular oxygen in any way, and allows it to fluctuate unknowingly. Cytocentric-by-design equipment fully accounts for not only oxygen, but also CO, NO, and other important physiologic conditions. Cytocentric upgrade options for conventional equipment provide enhanced physiologic simulation. Cell cultures are essentially dynamic in nature, not static. They grow over time. Their metabolic rate can change over time. Conventional incubators only provide static conditions. Cytocentric-by-design equipment provides dynamic conditions to keep up with cell needs as they change over time. Cytocentric upgrade options can give your cells dynamics in conventional equipment. 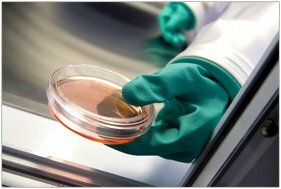 Different cell culture protocols require different conditions. Conventional equipment forces all protocols into monolithic incubator chambers with one size fits all and one set of conditions, regardless of protocol differences. Cytocentric-by-design equipment provides unlimited culture protocols. Cytocentric upgrade options for your existing conventional equipment can too. Cytocentric equipment can be configured in any number of ways to fit any application, any budget and any space. It can fit in existing equipment, or existing equipment can fit inside. It can then be upgraded as needed, reconfigured as needed, redeployed as needed, moved as needed. There will never be a dead-end for your in vitro cell research when using Cytocentric equipment. Critical conditions that cells experience in conventional equipment are often never known. No one knows how long the cells were outside the incubator, experiencing suboptimal conditions in the hood. No one knows how many times or how long the incubator door was kept open on any particular day, exposing cells to suboptimal conditions. Cytocentric equipment can record everything and alarm any condition. Cells that harbor and release dangerous viruses, vectors, prions, etc. can infect humans. 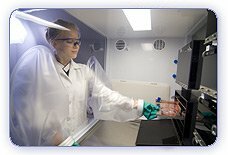 Open hoods and open incubators offer minimal protection, but Cytocentric equipment can isolate and contain the cells and dangerous organisms inside, and protect you and your team from contagion better than conventional equipment.